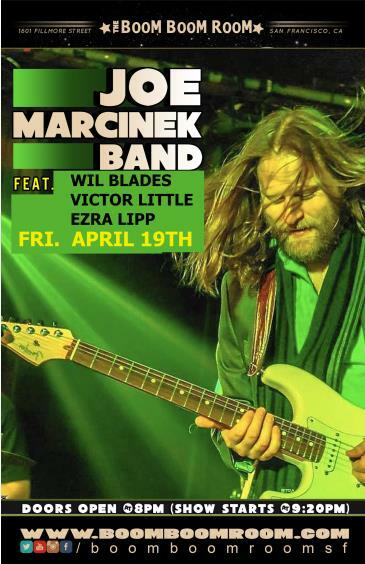 Joe Marcinek Band is joining with Wil Blades of Groundation, Victor Little of Robert Walter's 20th Congress and Ezra Lipp of ALO for what promises to be a jam filled funky good time. Join us at the Boom Boom Room in San Francisco Friday, April 19th. 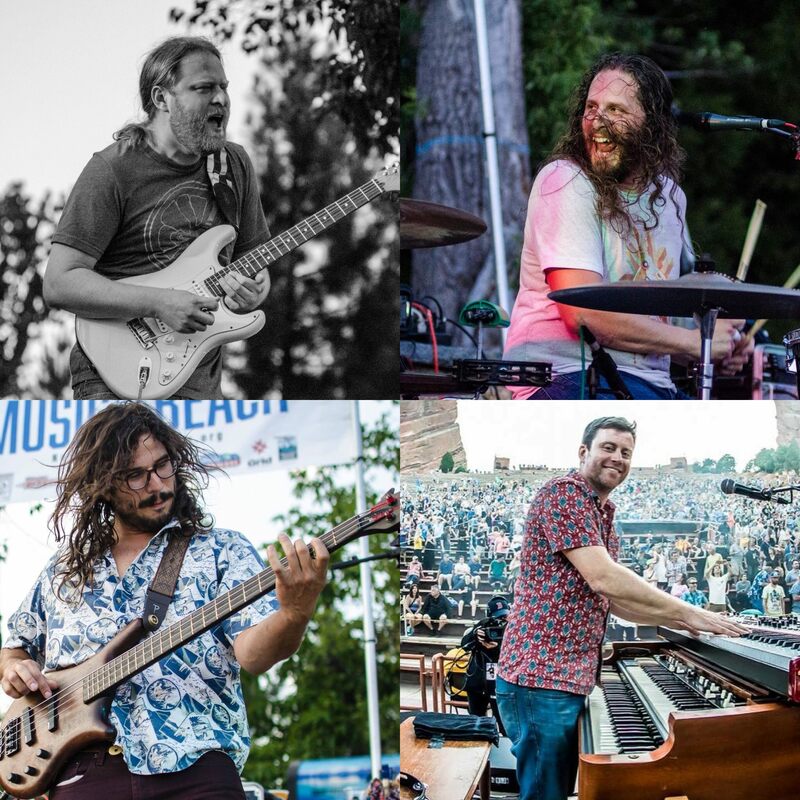 The group has featured many prominent guests including Bernie Worrell (P-Funk,Talking Heads), Kris Myers (Umphrey's McGee), Tony Hall (Dumpstaphunk, DaveMathews & Friends), Shaun Martin (Snarky Puppy, Kirk Franklin), AllenAucoin (the Disco Biscuits), Marty Sammon (Buddy Guy), Jason Hann (StringCheese Incident / EOTO), Erik "Jesus" Coomes (Lettuce), Jennifer Hartswickand Natalie Cressman (Trey Anastasio Band), Mike Greenfield (Lotus), Borham Lee(Break Science), Steve Molitz (Phil Lesh & Friends / Particle) Joey Porter(The Motet / Juno What), Fareed Haque, Scott Metzger, Nate Werth (Snarky Puppy)Garrett Sayers (The Motet) Allie Kral (Yonder Mountain String Band), Freekbass,Vinnie Amico and Jim Loughlin (moe.) and more! His genius of innovation and technique, diversity of styles, genre-blending and bending into exceptional and electrifying new music, has put a hot spotlight on Victor Little across the globe. His talent has been described as "the most 'under-the-radar' musician 'greats' of our time" - Until now. Victor Little is on international music radar. Highly regarded worldwide by so many peers, musicians, producers, music listeners "in the know" and a huge and ever growing fanbase, Victor Little is a big hit!